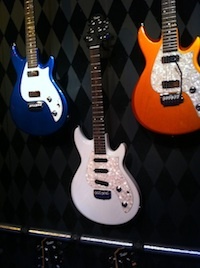 This is a recap of my third day at NAMM 2011. For details on the previous days, see the posts about Day 1 and Day 2. Saturday morning started with a trip up to the Taylor Guitars room on the second floor. My local store stocks Taylor guitars, but they don’t yet have any of the Taylor electrics, so I was looking forward to trying them out. Given the quality of Taylor acoustic guitars, it was not a big surprise that the solid-body electric model played really nicely and sounded great. Next up was a special visit to the Jet City booth to see a StevieSnacks viewer named Andrew. He’s endorsed by Jet City, and wanted to show me their amps, as well as do some jamming. That turned out to be more difficult than we thought, because their booth had lots of attention. I did not get a very good feel for the amps because of the bustle of people around the booth, but from what I heard as Andrew wailed away, they’re worth checking out if you get the chance. 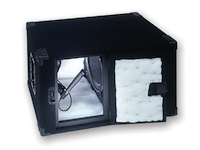 When I stopped at the Demeter booth, it was not for the amps or pedals, but rather, the isolation cabinets they make. When I was trying out one of the Fano brand guitars at the Premier Builders Guild booth on the first day, they had the amplifier running into an isolation speaker cabinet with a microphone inside. Then the microphone was run through a mixer and PA amp, into a high quality monitor speaker. This allowed them to crank the amp way up, and totally control the volume. The cabinet they were using was made by Demeter, so when I saw their booth, I stopped in and asked about it. The cabinets look really well built, and they are pricey, but something like that would be perfect for my studio, keeping the guitar sound out of my vocal mic. This is also a good idea for anyone doing recording where they need to have the amp cranked, but cannot have a lot of volume. My conversation with David reminded me that there is a huge amount of diversity in even this small, focused community at StevieSnacks, not just in terms of location, but diversity in musical background, specifically, the role that music has played, or not played in our lives as children. 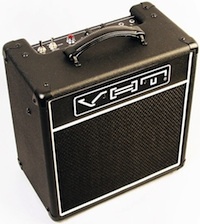 After lunch I headed to the VHT Amplification booth. 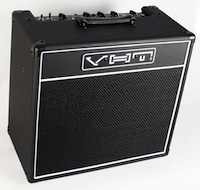 Somewhere I had gotten the idea in my head that VHT made high-gain amps for hard rock and metal, and that’s not the case any more. That part of the business was branched off or sold a while back, and now they make more affordable amps starting around $200. I tried out the Special 6 and the Special 6 Ultra. These amps are great. They are packed with features and both under $300. I can’t say that they’re specifically good for blues, but for less than $300 you get a tube amp with plenty of options. The Special 6 is 6 watts with low and high gain inputs, as well as a low power switch. It has tone and a volume knobs, and a boost function that can be activated by lifting the volume knob. However, the Special 6 Ultra is the one that really stood out to me because for only a bit more money, you get a bunch of additional features. A 12” speaker instead of a 10”, more tone controls, a separate volume for the high-gain input, and, most importantly, a variable power knob, which can adjust the wattage from .5 watts all the way up to 6 watts. Think about that. A 12” tube combo, variable power, and a bunch of other features for under $300. 6 watts isn’t really enough power for a show, but this thing should make a killer practice amp that pretty much everyone can afford. I ended the day with a few business related discussions, and then headed back to the hotel. 12 hours of travel the next day and I was back home. The NAMM trip was a great opportunity for me. Aside from all the cool gear, I met some cool people and possibly opened up some new business opportunities. The people I dealt with were friendly, and the weather was awesome.